One step in your wedding day beauty regimen: nails. Oftentimes, brides will make getting their nails done into a girls day – adding brunch, wine or laughs into the mix. 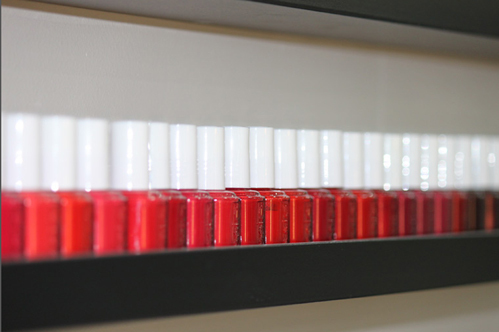 Polished Nail Bar, located at 621 E. Brady Street, offers a beautiful setting for bridal parties. 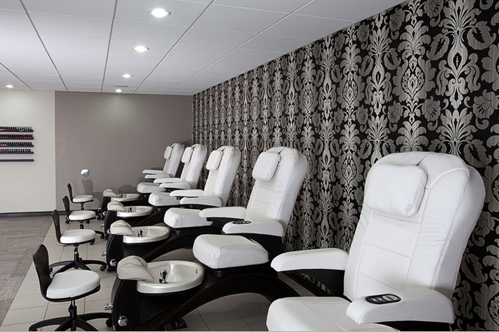 The location allows bridal groups to mingle, socialize and even enjoy a cocktail and snacks while during their manicures and pedicures. 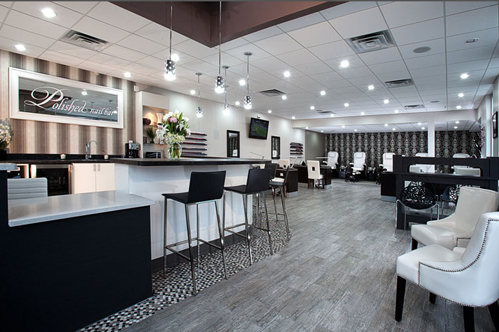 “While we offer non-alcoholic beverages, we also allow parties to bring wine or champagne and a small snack for their guests to enjoy during services,” Intessar Hamdan of Polished Nail Bar said. The ultimate goal at Polished is to make each client feel pampered and special. Now, I know what you’re all wondering: What about discounts for bringing all your girls in? Any bride or host that books a bridal party of 10 or more will receive a 20% discount off of her services when mentioning the bridal party discount. Plus, Polished sends our weekly/bi-weekly promotions via text, email and social media, containing discounts that can be applied towards wedding parties. Plan ahead! Book your parties in advance to make sure you get the date and time you need. Talk to your girls. Make sure you have a clear understanding of which girls in your party want which nail services done. Make a morning (or afternoon) of it. Invite your girls over to your house first and host a mimosa bar OR grab brunch downtown after your appointment. The possibilities are endless – have fun with it!